Our canvas montages are beautifully printed and assembled. We make them to order on strong quality frames. Using our design interface, you can generate and create your own montage automatically then preview the collage to approve it before you buy. You'll love creating a canvas photo montage from your photos. They are easy and free to make in our online system. Press start design above, add a selection of photos and click the 'create montage' button. You will see the layout in different template styles and be able to mix it up to make another version very easily. You can also get a free, printable download of your montage so you can be sure it's exactly right, and you could even make a paper print of your unique collage design. You will see this in the gallery at the time of making the montage. You're montage canvas is printed to order, and stretched on a handmade frame in the same day. Quality is outstanding, service was excellent. Ordered from Australian website yet it was sent from London. Experience was great, will be ordering more products. Press start design above and get creative. Choose your canvas montage frame size and select the style of montage you want in your canvas and it will be handmade and sent in a couple of days. There are several ways to design your canvas montage in our system including heart montage, scatter, and of course the do it yourself option. All of them are available to design for free, and you preview your creation before you buy. Your design is printed onto a high-quality woven canvas fabric, creating edge-to-edge, vibrant print. Your printed canvas is then hand stretched over the frame. The frame for your collage canvas is handmade from FSC Certified pine wood, using eight high-quality FSC wedges, and stretcher bars to secure your canvas in place. 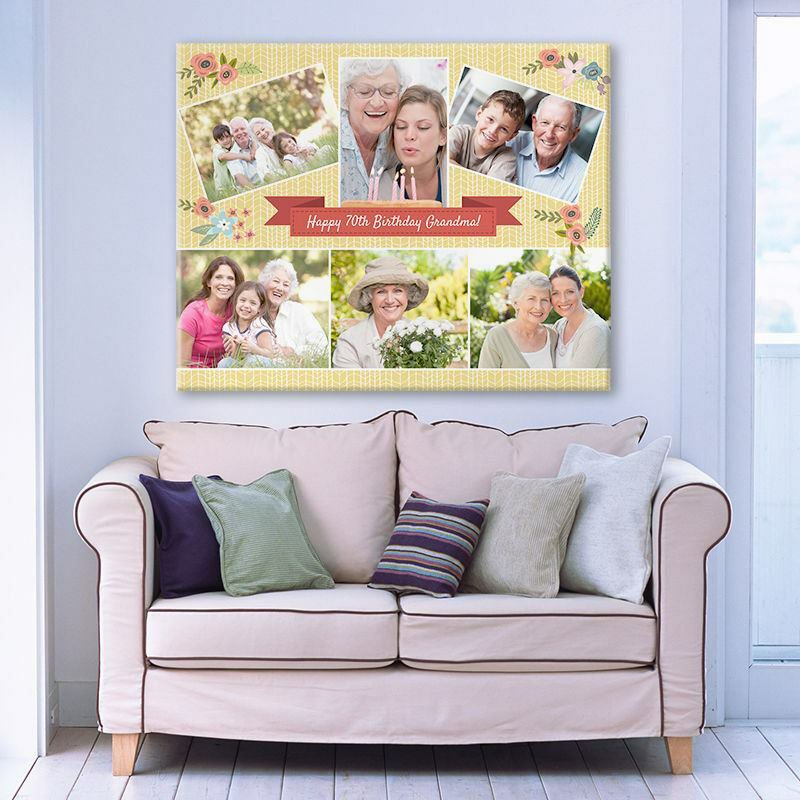 You can create your own canvas montage and have it printed in a wide variety of sizes and ratios. Whatever display space you have in mind, we have a size to fit it perfectly. Small square canvas montage prints could be designed to tell a story across the room. For a gift that packs a punch, create a sentimental canvas montage on a huge frame for the whole family and every guest to enjoy. Panoramic filmstrip producing a highly contemporary eye-catching result. Choose number of images and size and design your canvas online. Canvas in three sections. Select the size that fits your image and wall best then design your triptych online in our instant design system.